The class teachers are Mrs Perry (Tuesday – Thursday) and Ms Wells (Monday). Mr Guy is our Teaching Assistant. Please let a member of staff know if your child has an allergy, medical condition or specific diet. Year 3 pupils can choose from KS2 Athletics, Tennis, Cookery, KS2 Homework, Dance and Art & DT clubs. Pupils in Year 3 and above can buy fruit from the school kitchen at break time - 30p an item. In Year 3 pupils must pay for school dinners which cost £2.30 per day (if you think you are eligible for free school meals please contact the School Office). Caterlink are our new suppliers. Check out their current menu. Takes place on Wednesdays and Fridays. PE Kit consists of dark coloured shorts, white T-shirt / polo-shirt, plimsolls and trainers. Please ensure your child's PE kit is on their peg. Our topic this term is ‘What did the Romans do for us?’. 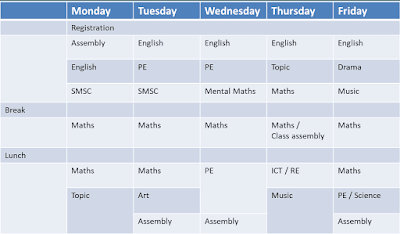 For further details of all the curriculum subjects we will be studying this term please see the topic web above. If you have any resources that may be useful to us for this term please bring them in. Pupils have their ukulele lessons on Thursday afternoons. Please ensure your child has their instrument in school.